What started as a candle-making experiment in the Los Angeles kitchen of fashion veterans (and real-life partners) David Kien and Matthew Herman, grew into a brand that completely transcends the gender binary. 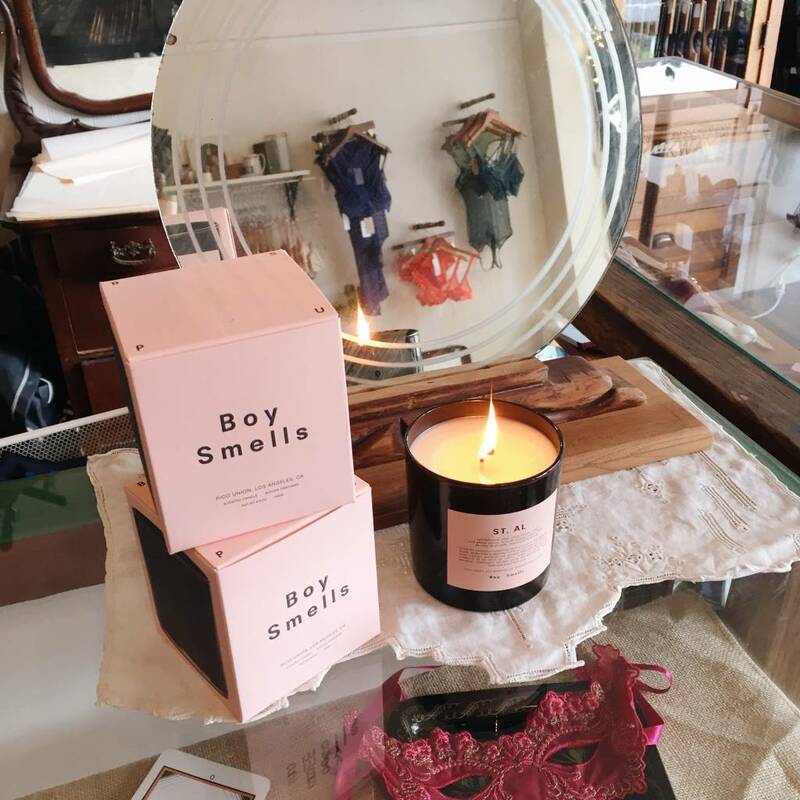 Called Boy Smells yet packaged in millennial-pink packaging, these candles are an artful collision of traditionally feminine and masculine scents with thoughtfully conceived stories that transport the smeller either to a distant, maybe faint memory or an entirely new aromatic adventure. We now stock six of their beautifully iconic 8.8oz candles both in store and online. Cinderose, Ash, St. Al, Les, Cedar Stack, and Lanai. We’ve been burning the Cinderose in the shop this week and I think it’s safe to say, we’re all obsessed.